For about a decade, it did just that. At the height of the financial crisis, China Investment Corp. sank US$5.6 billion into Morgan Stanley to steady the struggling bank, a stake that eventually rose to 10 per cent. The fund tried to emulate Singapore’s GIC Pte, which was known for its ambitious investments overseas. Now CIC — the world’s second-biggest sovereign wealth fund, with almost $1 trillion in assets — seems to have gone small-time. The fund hasn't received any new money for offshore investing since 2012, when it was given $50 billion on top of its initial $200 billion starter kit. It’s gone from being on investment bankers’ speed dials to near irrelevance overseas. Its new chairman may not be able to change that. Peng Chun, who’s filling a two-year-old vacancy, had been chairman at Bank of Communications Co. since last February. (He was vice chairman for the five years before that). Peng succeeds Ding Xuedong, who left in February 2017 for the State Council. At Bocom, China's fifth-largest bank by assets, Peng’s efforts to internationalize went slowly. That’s a worrying signal for market watchers hoping CIC will rise to its former glory. Bocom’s overseas revenue rose to 13.29 billion yuan (US$1.98 billion) last year, which amounts to 6.2 per cent of total net revenue, from 11.53 billion yuan, or 5.8 per cent. 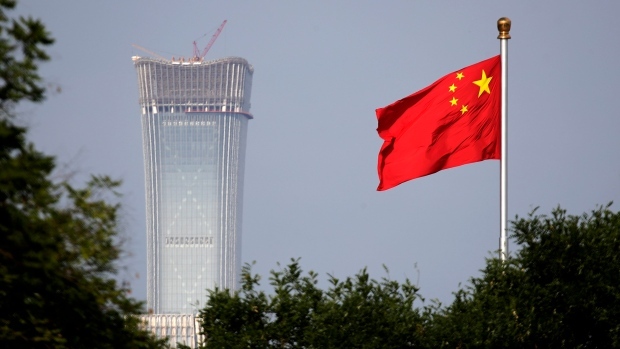 Its exposure abroad also has been underwhelming, comprising 8.7 per cent of assets, behind Bank of China Ltd. and Industrial and Commercial Bank of China Ltd.
For CIC, some of this retreat could come down to its years without a chairman. The fund also might be showing a cautious streak, after getting burned by its investments in commodity companies that went bust, and losing money on its bailout of Morgan Stanley. CIC’s stake in Blackstone Group LP, which it exited in 2018 after more than a decade, suffered paper losses in its early years. The fund’s last major overseas venture was a 12.25 billion-euro (US$14.2 billion) acquisition of European logistics company Logicor from Blackstone's real-estate fund in 2017 — CIC’s biggest-ever purchase. 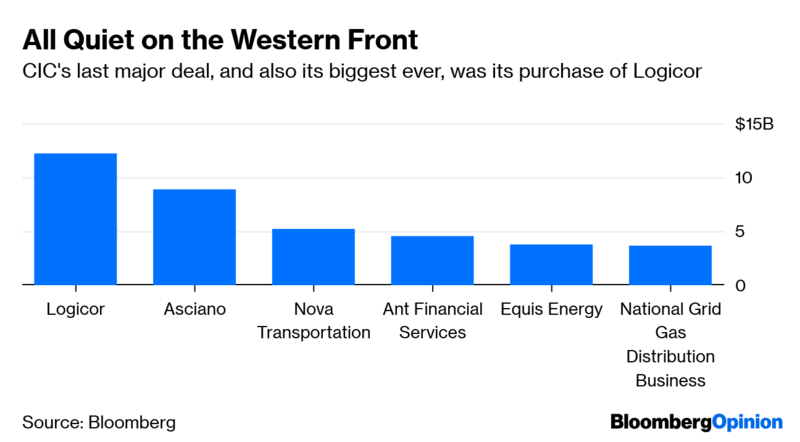 The deal caught even more attention because it proceeded despite Beijing’s efforts to stem capital outflows and a successive crackdown on global property tie-ups. It also stands in stark contrast to the fund’s latest endeavors, which are more passive and smaller-scale. Last year, CIC invested in a 150 million-euro tech fund with Ireland and a $1.5 billion fund with Goldman Sachs Group Inc. focused on American companies with business interests in China. Bringing CIC back to the the good old days will be an uphill battle for Peng, not just because fresh funds are lacking. Both of his predecessors had deep political connections: Ding spent most of his career as a senior official with the Ministry of Finance, and Lou Jiwei, an outspoken Community Party veteran, eventually became finance minister. As chairman of state-owned Bocom, Peng was technically a Beijing appointee; but his background in government is minimal. That could complicate any efforts to grow overseas at a time when such ambitions require a dose of political capital. Externally, CIC not only faces a world skeptical of Chinese purchases but an unappealing investment backdrop. After posting its best annual return on overseas investments in 2017, last year’s performance was “certainly” worse because of global market fluctuations, its general manager told Bloomberg News last month. Ultimately, CIC’s desire to earn stable returns by reducing exposure to volatile equity investments in favor of alternative assets could backfire. Real estate has been a no-go area since late 2016. Hedge funds and private equity require a talent pool that CIC doesn’t have after a major exodus over the past year. Peng will have his work cut out.